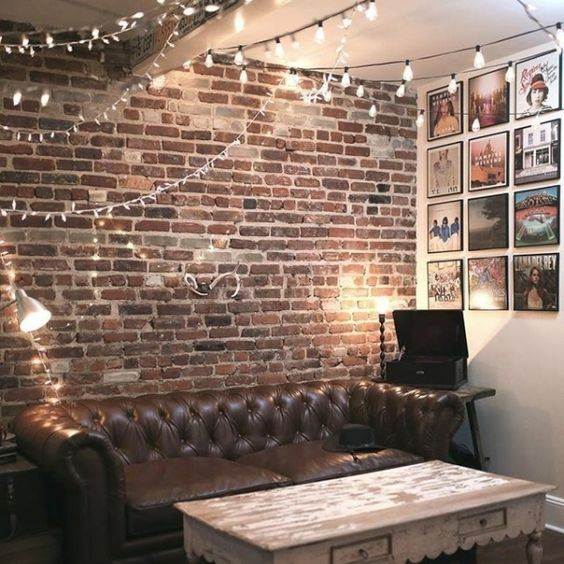 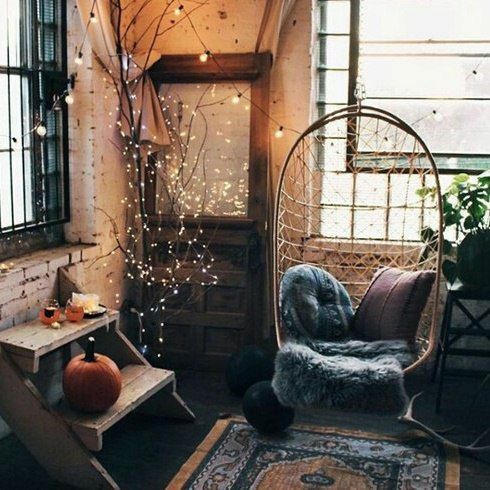 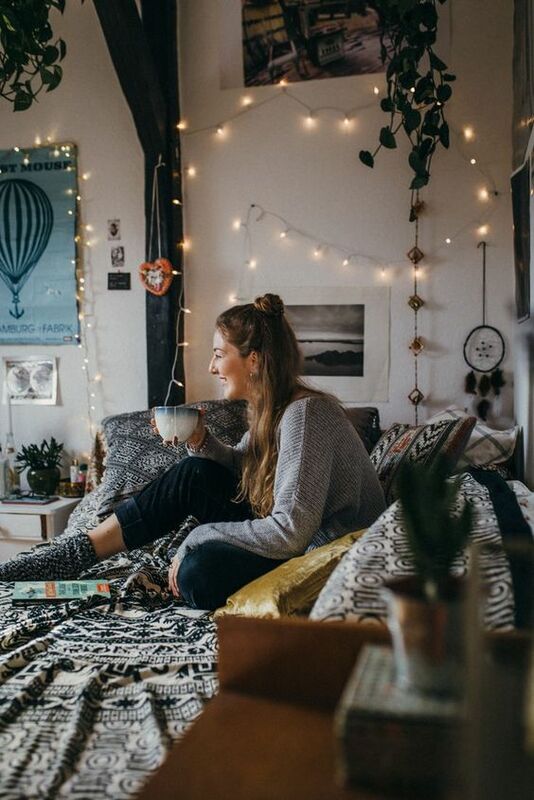 String lights of all kinds are super popular for decor, they are budget-friendly, create a cozy ambience and can be hung literally everywhere. 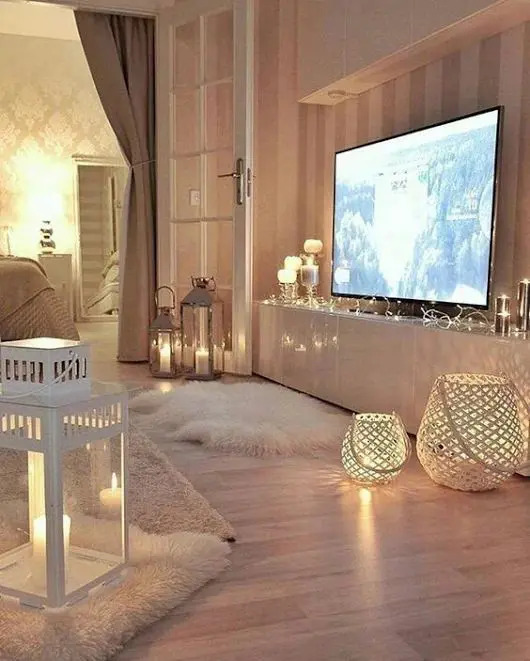 Today we are sharing the coolest ideas we could find for living rooms, and here there are many ways to use them. 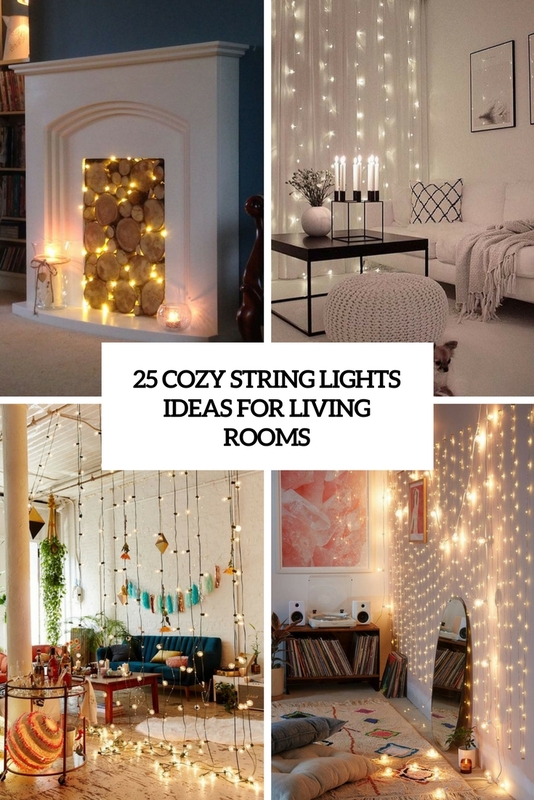 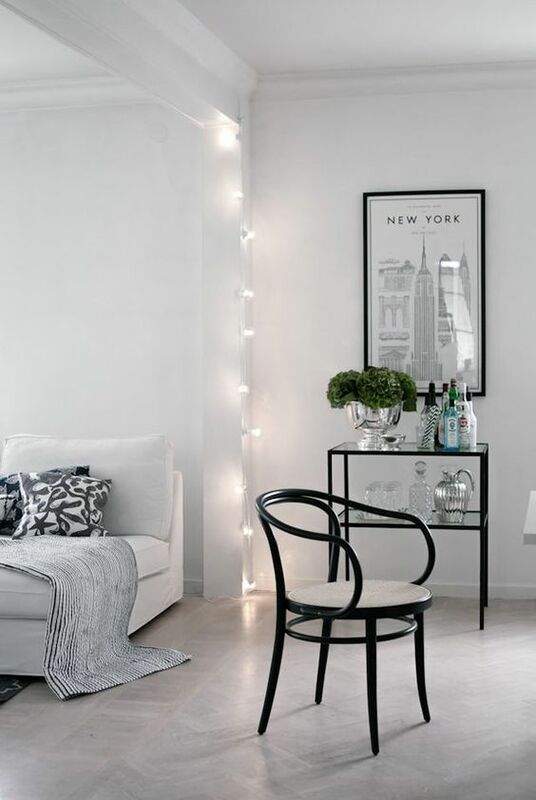 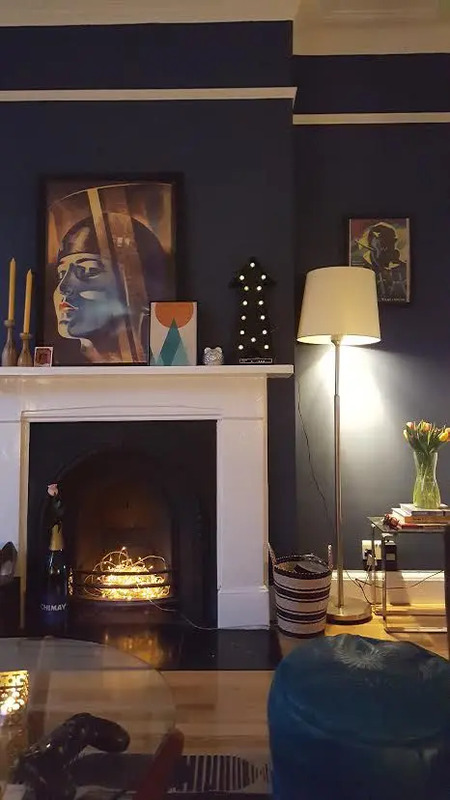 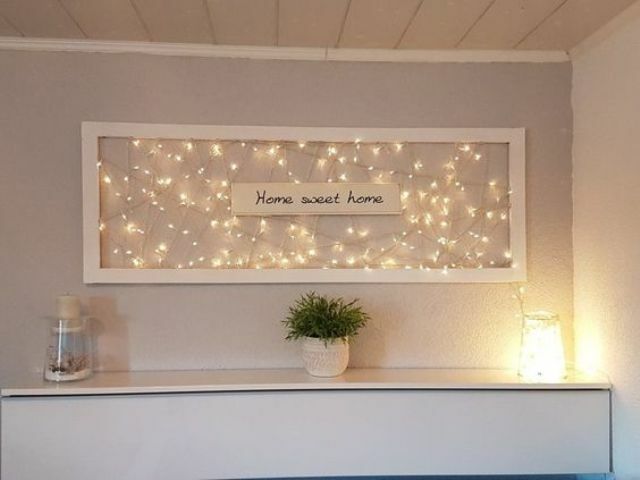 First of all, you can hang them wherever you want, second, you may create fireplace statements with them, third, you may highlight a nook or a zone in your room, and there are many more ideas to rock string lights, let’s have a look at them all. 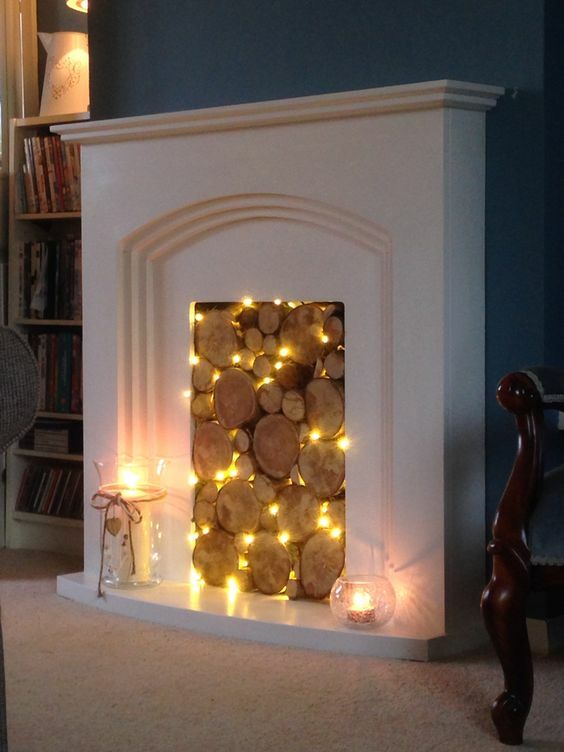 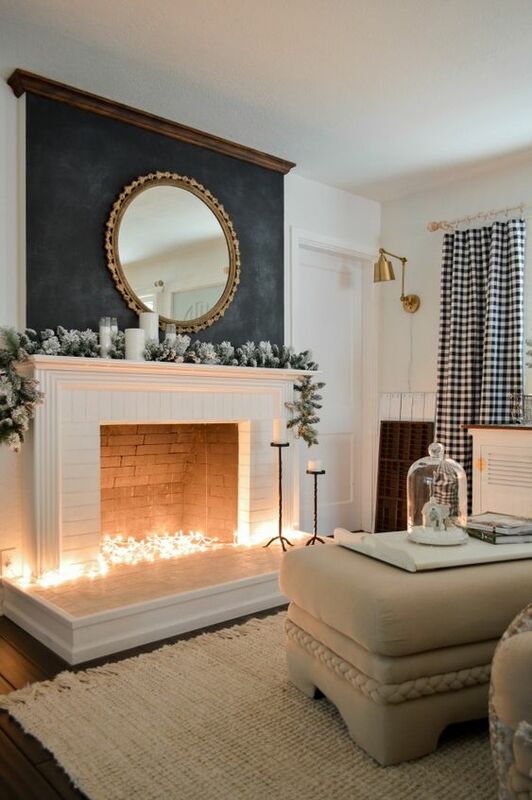 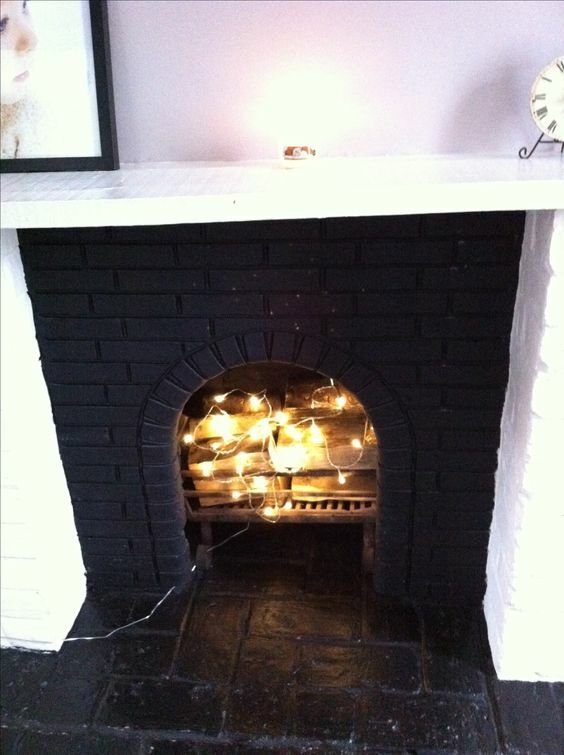 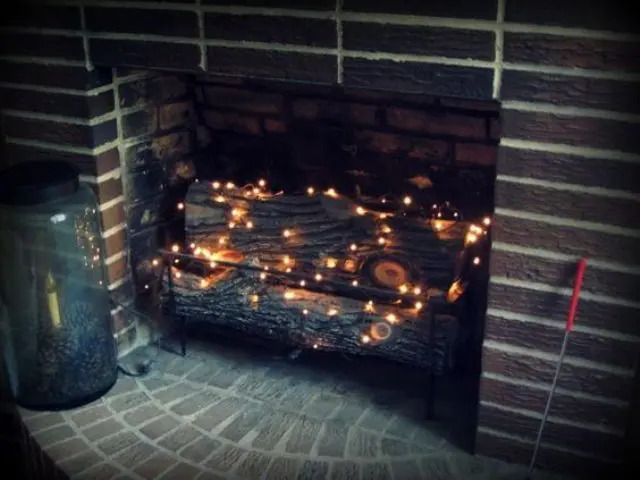 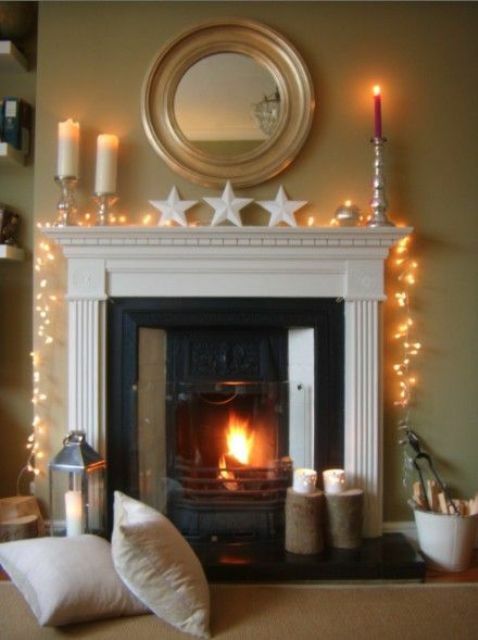 If your fireplace is a non-working or faux one, it’s not a problem – just put some firewood covered with string lights inside, and voila – you have an effect of a working fireplace, and it means instant coziness. 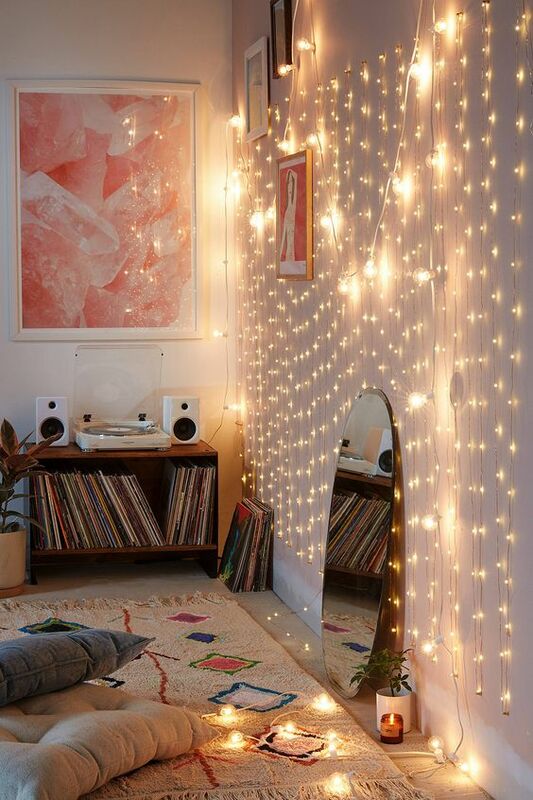 You can also try candles+string lights, or only string lights put inside to create a look that you want. 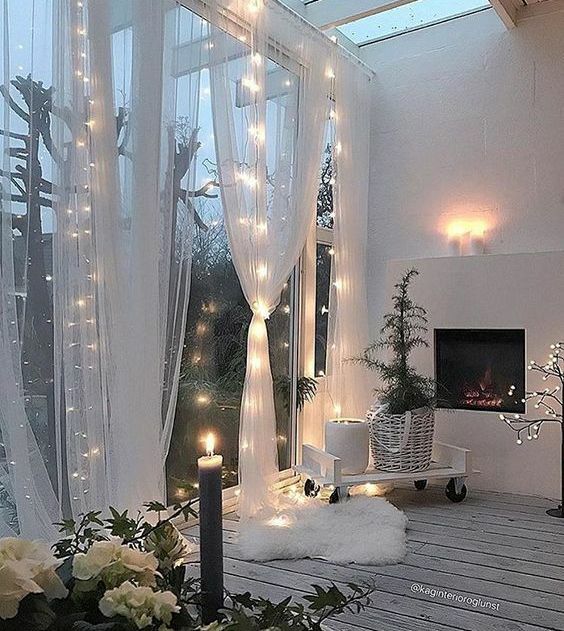 If you have sheer curtains, add string lights to them – this way you’ll accent the window and views, and will create a cozy mood. 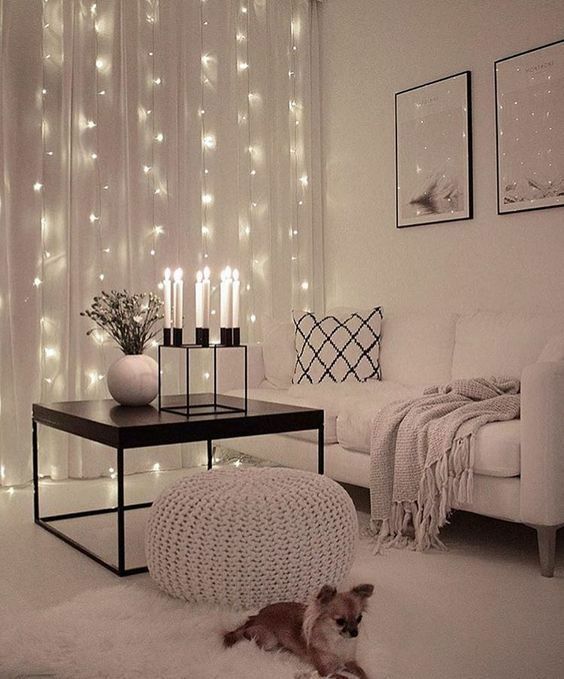 It will also work for glazed walls – hang curtains and add lights to them, and you’ll get a very glam space. 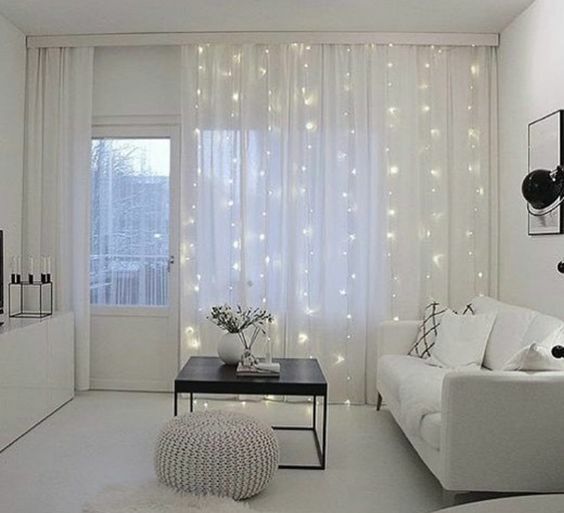 If you don’t have curtains, no problem: just attach the lights over the window and you’ll highlight it. 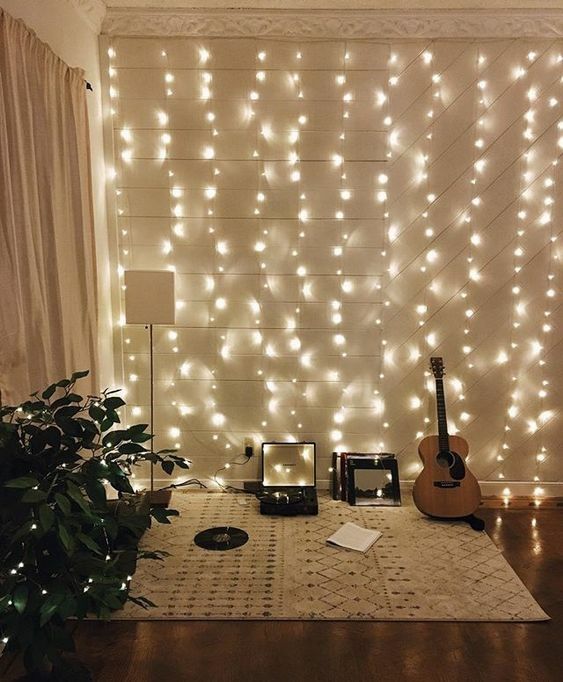 Separate the open layout with string lights – hang them as a curtain, and you’ll get a super cool and airy space divider. 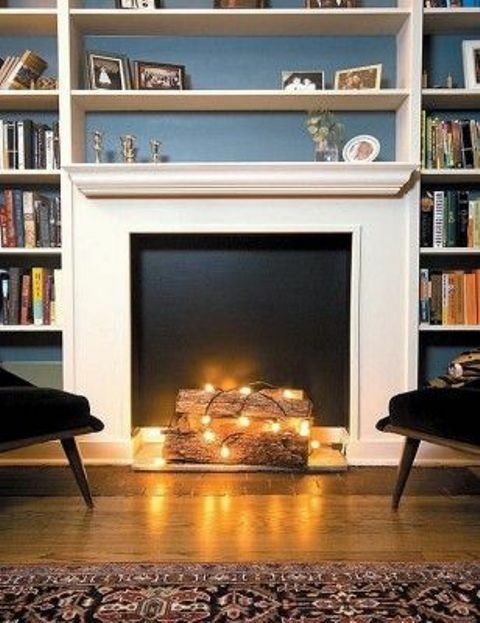 This is a great idea that fits most of decor styles, so try! 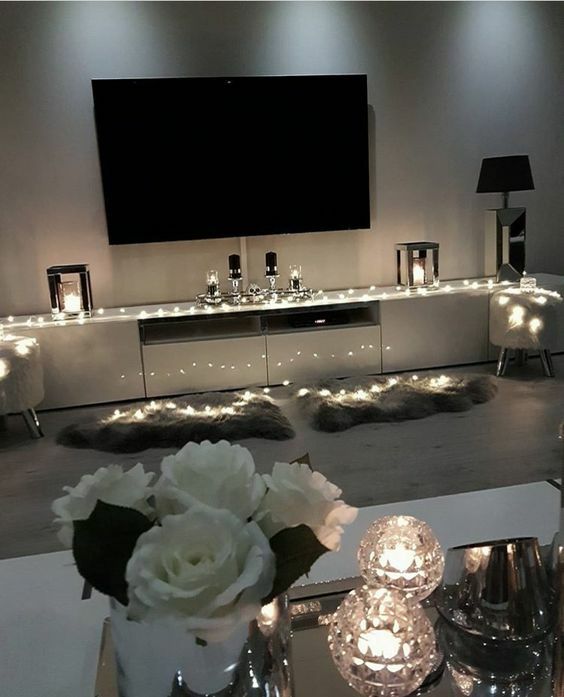 Accent your TV with string lights – hang them over it on the wall, or cover the TV unit with them and add candles for more light. 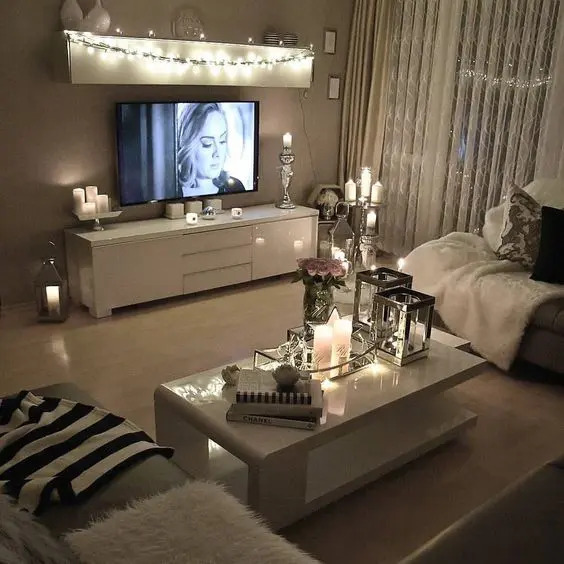 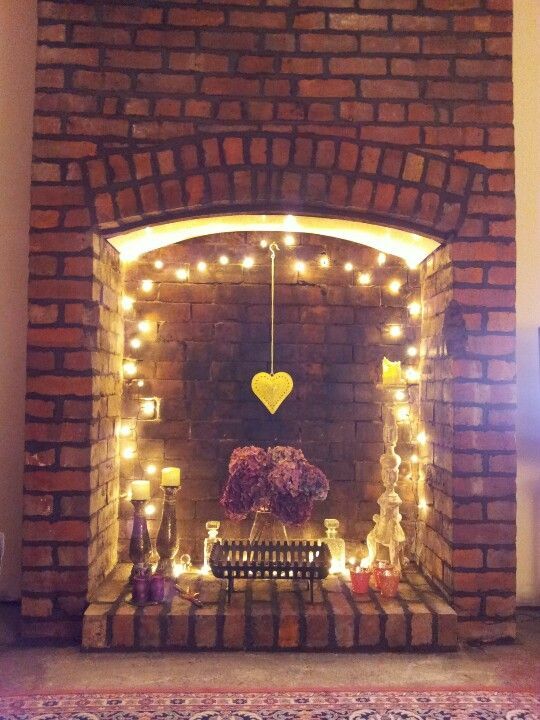 You can also create a cool ambience with candle lanterns around to highlight the zone even more. 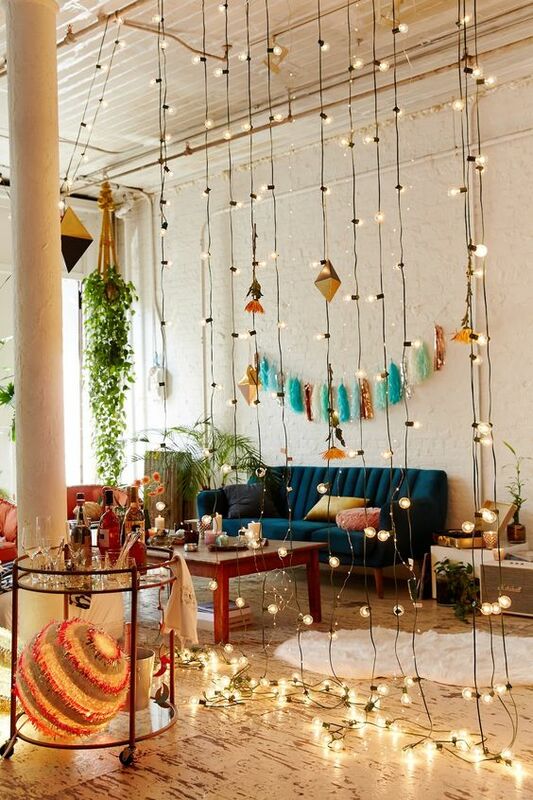 Hang string lights over the whole room – as many as you want! 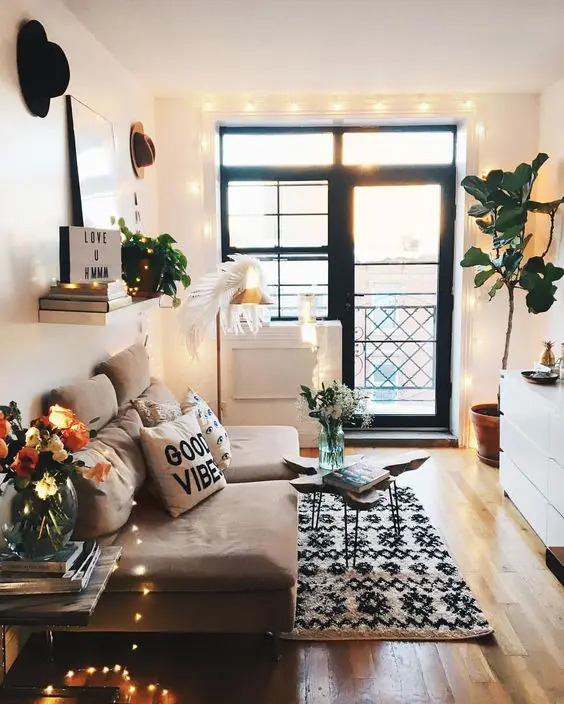 Accent an exact space or nook, for example, a hobby or a working nook within a living room. 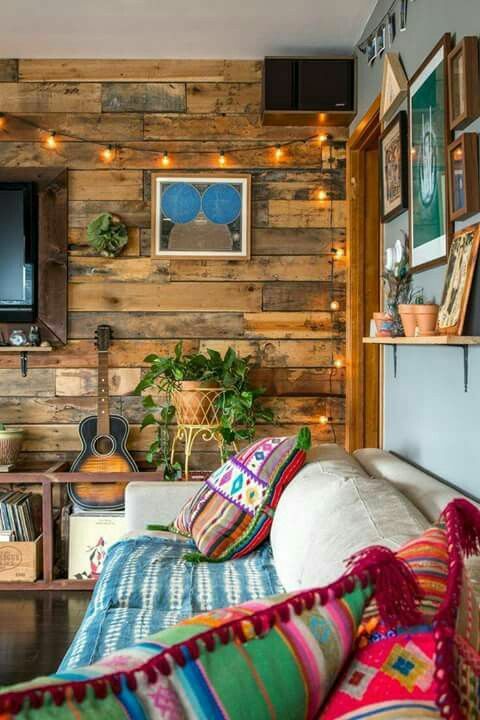 Highlight a gallery wall with string lights, enliven a reclaimed wood wall or make a cool sign using lights – turn on your imagination and have fun!